Each city has a multifaceted tax code with many moving parts, and San Diego is no exception. 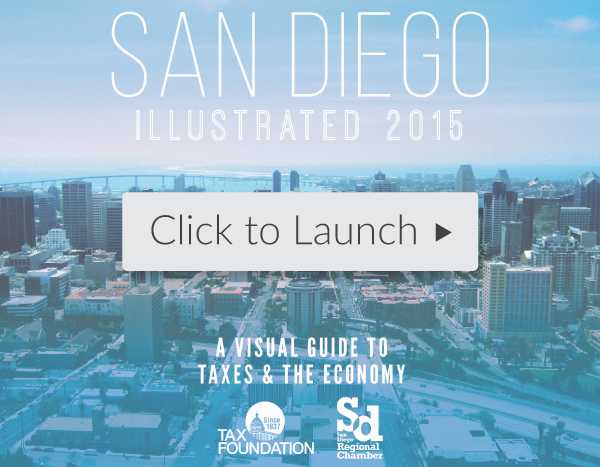 This chart book aims to help readers understand San Diego’s overall economy and tax system from a broad perspective. To do this, we view San Diego in the context of four other California cities: Fresno, Los Angeles, San Francisco, and San Jose. Through a series of charts and maps, this book illustrates San Diego’s tax climate and economy, in an effort to depict the challenges faced by individuals, businesses, and policymakers. Each piece of San Diego’s economic climate tells a story, and we know how important it is to put that story into the larger context. We hope that this book will help put those dynamic pieces together to provide an in-depth picture of San Diego’s economy. These charts were created and compiled by Tax Foundation Economist Liz Malm in collaboration with the San Diego Regional Chamber of Commerce and Tax Foundation staff. The San Diego Regional Chamber of Commerce would like to thank the County of San Diego for its investment in this resource for San Diego taxpayers.